Prolific German director Herbert Selpin helmed two dozen films in just over a decade, and the Nazi-funded Titanic (1943) was his last. Arrested by Joseph Goebbels during production for insulting the German military, Selpin died after a questionable suicide in his prison cell less than a day later. Werner Klinger, perhaps best known for his 1962 remake of Fritz Lang's The Testament Of Dr. Mabuse, didn't receive a directing credit for taking over in Selpin's "absence". Not that it mattered: Goebbels banned the film in Germany before its brief theatrical run in neighboring countries, fearing the stressful story would scare German citizens in the midst of nightly Allied bombing raids. As the first of several dramatic adaptations of this horrific event (which include the excellent A Night to Remember, James Cameron's 1997 blockbuster, and many others), Titanic was the first to take plenty of liberties with its source material. Although it's not saddled with the distraction of young romance, propaganda piece takes no shortage of swipes at undeserving targets and makes its home country look squeaky-clean in the process. 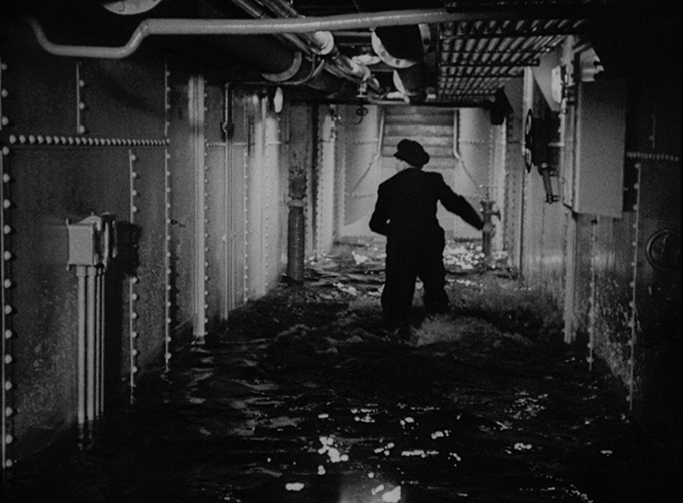 The most obvious addition is fictional First Officer Peterson (Hans Nielsen), a heroic German who initially warns the ship's oblivious owners about the approaching iceberg and does most of the heavy lifting once the ship starts to sink. Add in a few jabs at capitalism and the British-owned White Star Line and you've got a narrative worth ignoring. It's a real shame, because Titanic is quite good from a visual standpoint. The film reportedly cost near an equivalent of $180M, easily making it one of the most expensive films of its time, with effects that only seem less than impressive to those weaned on more seamless material in recent decades. It's quite captivating at times, even managing to throw in a few elements and techniques borrowed in later adaptations. 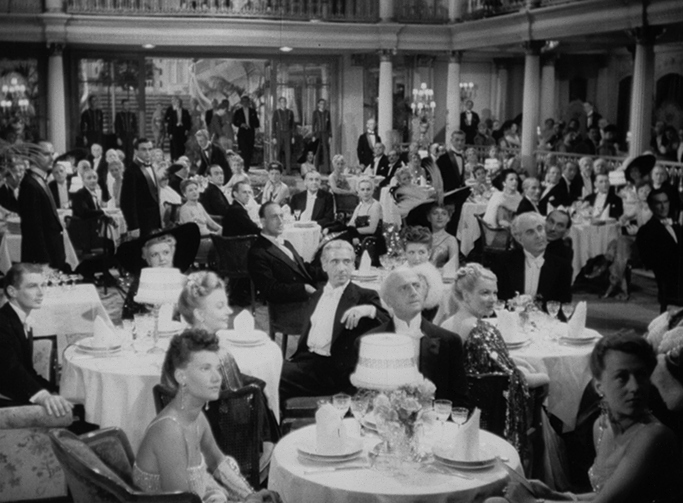 Either way, at least some good came of this production: in an ironic twist of fate, a few rescue scenes from the film were used in the British-made A Night to Remember. 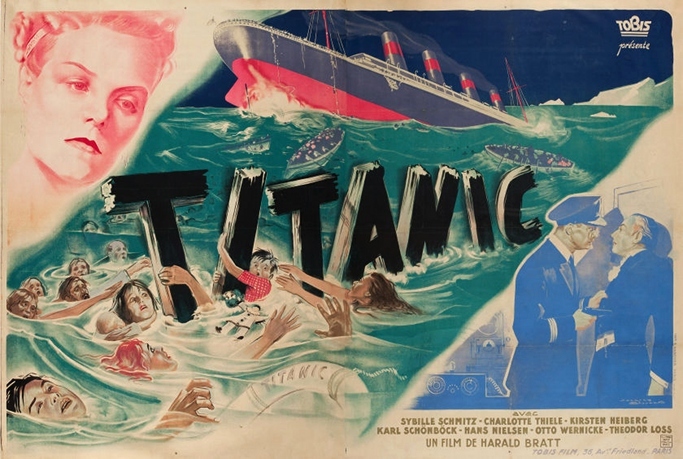 Since Titanic was banned in its home country until 1949, banned in many Western countries after that, and only then available as an edited version during the next several decades, it was rarely seen in its complete format until Kino's 2004 DVD was released. 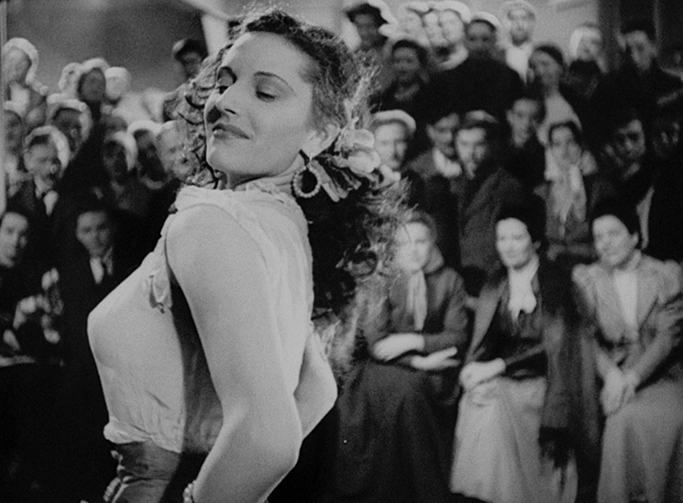 Like most films whose production history ends up being more interesting than the finished product, Kino's new Blu-ray upgrade plays it smart by adding a new feature-length audio commentary that's loaded with interesting facts and stories. Overall, the package should win over die-hard fans and curious newcomers alike with its decent (if not slightly unremarkable) A/V presentation and three vintage extras ported from the DVD. Though Kino's new Blu-ray appears to be sourced from the same master as its 2004 DVD, for the most part this 1.37:1, 1080p transfer looks fairly good considering the film's troubled history. Image detail is often good, with the caveat that it won't be mistaken for a newly-restored master from the original camera negative. Shadow detail and black levels can be more than a bit limited at times, with occasional noise, print defects, dirt and debris, flickering, and other problems typically associated with a film of this age and pedigree. That said, it's impressive at times and, if nothing else, the somewhat rugged appearance of Titanic adds to its mystique and helps to mask some of the special effect seams that would obviously be more distracting if they were in pristine condition. DISCLAIMER: The screen captures on this page are decorative and may not represent the Blu-ray under review. Likewise, the DTS-HD 2.0 Master Audio track (in German, with optional English subtitles) is fairly rough around the edges at times but, considering the source material, it's more than acceptable. Dialogue is typically clear while music cues can't help but sound a little harsh; there's not much detail here past the mid-range, but very few obvious defects like hissing, popping, or crackling. The static menu includes options for playback, chapter selection, and extras, with quick loading time and minimal pre-menu distractions. This one-disc package arrives in a standard keepcase and includes poster-themed artwork and a promotional booklet highlighting other Kino titles. Only one new extra has been created for Kino's Blu-ray, but it's a good one: an Audio Commentary with author Gaylyn Studlar, who speaks at length about the historical, social, and political context during and after Titanic's troubled production. It's an extremely informative track with other topics of interest that include historical (in)accuracies, director Herbert Selpin's grisly fate, similarities and differences to other versions, sticking up for the British, cut scenes and censorship, storytelling technique, a few subtitle corrections, lighting and special effects, style vs. authenticity, notes about the cast, the film's recent resurrection, and much more. There are very few breaks and, considering the film's brief 88-minute running time, the lessons learned are succinct, entertaining, and accessible. Other than that, three short but enjoyable extras from Kino's 2004 DVD return as well. These include a 10-minute Newsreel about the disaster from 1912, White Star Lines' 16-minute promotional tour of Titanic's sister ship in "Aboard The Olympic", and the film's Theatrical Trailer. A brief photo gallery and press kit were also on the DVD but have not been carried over for unknown reasons. Herbert Selpin's Titanic is the first and, in my opinion, least noble dramatic retelling of the 1912 disaster at sea, largely due to the propaganda machine that approved such an obviously biased narrative. Yet considering the film's history, production, censorship, and the limited special effects available in 1943, it's nonetheless a fascinating film that I'm glad has been resurrected in recent years. Kino's Blu-ray is an obvious upgrade over their own 2004 DVD, offering a decent A/V presentation and an essential new audio commentary that is often more engaging than the film itself. It's certainly Recommended to those with an interest in film history, although others will be happy enough with a rental.